Paul House was born on a farm in Stoney Creek, Ontario in 1943. Paul began his work in the food and service business at an early age, marketing the family farm’s fruits and vegetables at the Hamilton Farmer’s Market. Throughout his formative years, Paul and his brother Bob maintained this connection by working and managing peach farms along the Niagara Peninsula. In 1969, Paul graduated with a B.A. in Economics from McMaster University. Shortly thereafter, he managed a franchise for Shell Oil Company in Hamilton. Sparked by his passion for business and his roots in the food business, Paul joined Dairy Queen Canada Inc. as a District Manager in 1972. Although his original goal was to be a franchisee, Paul climbed the corporate ladder at Dairy Queen. He became Director of Purchasing and Vice-President of Canadian Operations. In 1985, Paul joined The TDL Group Corp. as Vice-President of Marketing. At that time, there were just over 200 Tim Hortons locations. Two years later, Paul became Senior Vice-President of Operations and in 1990, he was appointed to Executive Vice-President of Operations. In January of 1993, Paul was named Chief Operating Officer (COO) of TDL, and then President and COO in 1995. In 2006, Paul became Chief Executive Officer (CEO) and President, and in February 2007 was appointed Chairman of the Board. In 2008 Paul accepted the position of Executive Chairman and remained in that position until 2011 when he reassumed the position of CEO and President. He retired from the position of Executive Chairman, CEO and President in July of 2013. During this time he focused on corporate strategy, franchisee relations and board leadership. At the time of award, Paul held the position of Chairman. 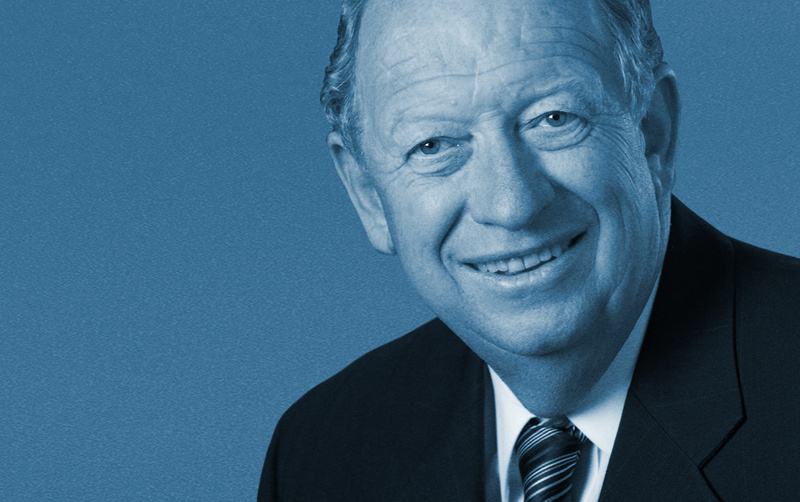 Under Paul’s leadership, TDL and the Tim Hortons chain achieved outstanding growth and success. Tim Hortons emerged as an industry leader by expanding its menu choices, transforming store designs and introducing par baking. Throughout this evolution, the chain has retained its community roots and commitment to friendly service, fresh product and great value. Paul sat on the Board of Directors for the Tim Horton Children’s Foundation and was also a Director on the board of Pet Value. He resides in the Hamilton area, enjoys regular hunting and fishing expeditions and time at his cottage on Lake Erie with his two children and grandchild. Paul’s connection to Niagara and Brock is also evident on many levels. Paul has been a member of the Brock University Board of Trustees and was a Brock parent – his daughter and son-in-law are both Brock graduates. Paul also served as a member of the Dean’s Advisory Council for the Goodman School of Business, providing valuable insight and advice in helping the School to move forward. Paul delivered the inaugural Faculty of Business Distinguished Leader Lecture in 2007 and spent the day with students, providing important advice in marketing, finance, human resources and community relations.